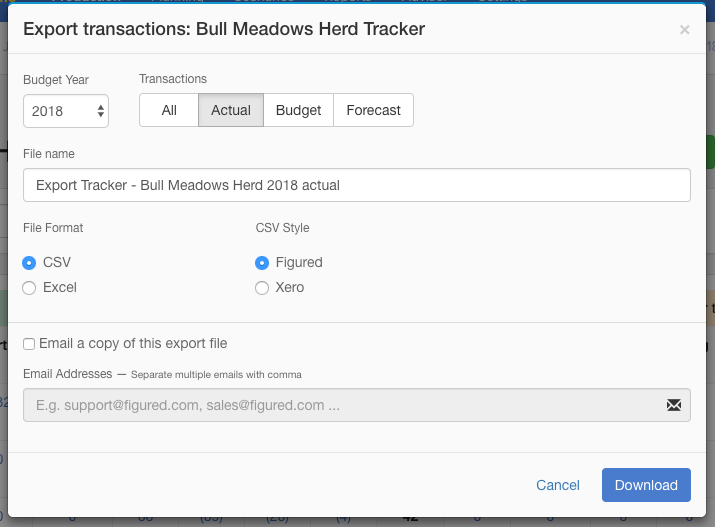 The import / export tools allow you to easily export out existing transactions in your production trackers, and then import these back in to become next years budget. The two options can be found by heading into your trackers and clicking on the Tools button as shown below. 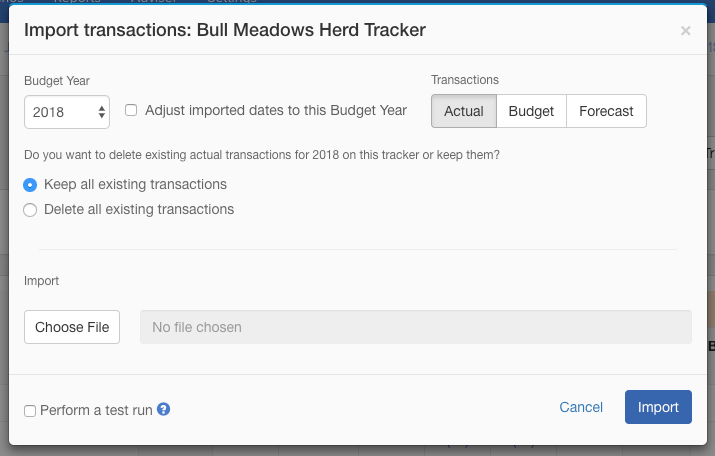 If you've already got existing transactions sitting in your production trackers, this is where you would export them all out and then import these into the following years budget. It can also be used if you're wanting to copy a stock reconciliation across to another similar tracker too. 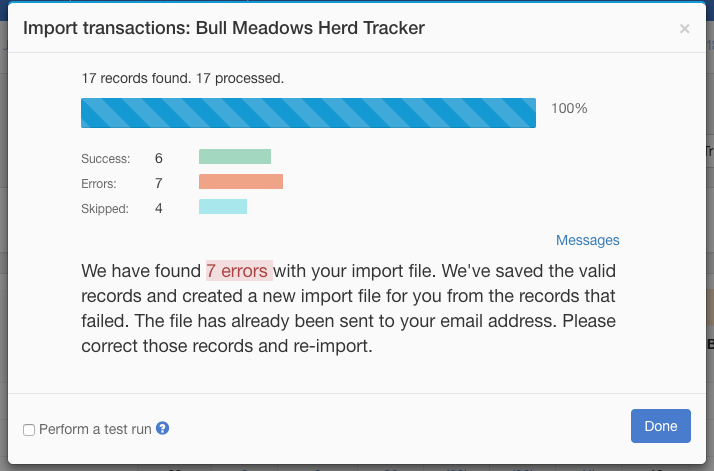 If you've recently exported some tracker transactions, or you've exported a blank file and created your own tracker transactions - you can then instantly import them to your trackers using the import tool. If there are any errors with the import, Figured will let you know on screen and send an email to you detailing what wasn't imported. NOTE: If you are importing inter-tracker transfers, in particular transfer in transactions, these will fail. This is because a transfer out must exist in order to have a transfer in.